Bronwyn is a classroom teacher at Liddiard Rd Primary School, Victoria Australia, iEARN Presenter iEARN World Conference Doha, Qatar 2013 and a member of the iEARN Australia Management team. Her passion is globalising education and using ICT in the classroom as a 21st Century Learning tool. I am Bronwyn Joyce, a grade 5/6 teacher from Liddiard Rd Primary School, Australia. 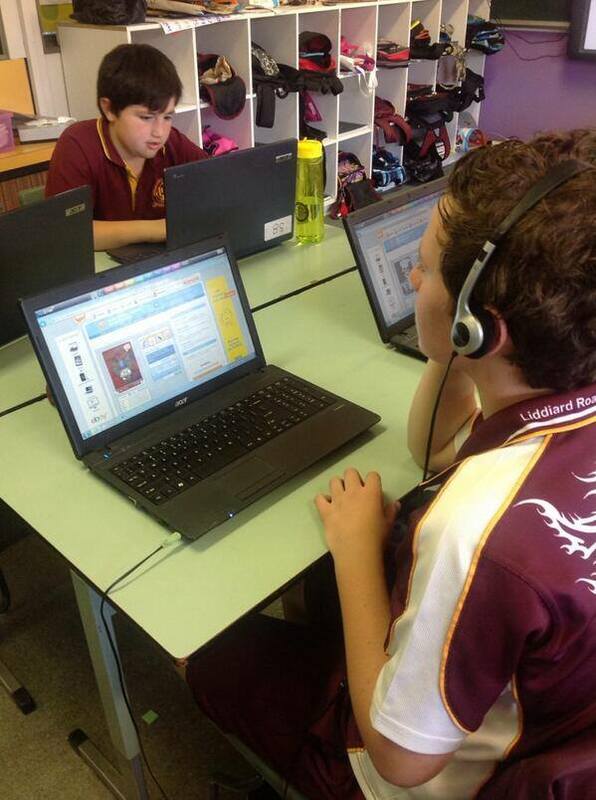 I started using Voki’s in 2013 as a way for my students to engage with technology in a fun and interactive way. 2. What are your goals for using Voki? To give my students a voice to explain, have an opinion and to reflect. To interact through technology when participating in global projects. To enable our international friends to learn ways of interacting through technology without language being a barrier. To help teach my international colleagues ways to enhance English skills and oral communication in their classrooms. Vokis are bright, interactive and a simple way to build students skills in using technology while building their self esteem. They allow my students to communicate, when at times they feel like they don’t have a voice. Vokis help up connect with the world. 3. How do you use Vokis? When my class hear we are creating Voki’s the room erupts, they know we are going to be sending a message to the some one or the world. Introduce my students in our global projects. To reflect on their learning goals. To explain their thinking on global issues eg Why Global Education is important in our classroom? To teach my international teacher friends how to use Voki to build English communication skills. To build intercultural relationships between classrooms around the world. 4. What are your 3 favourite things about Voki? It is interactive and engages student with creative ways of communicating. The idea of a talking avatar hooks the students in. It is global and can be embedded in to websites, blogs and places that can showcase students’ work across the world. I would like to find an easier way to embed my students work. Sometimes we make some amazing Voki’s and when we publish they will not embed and the students get really disappointed or they lose their work and they have to start again. Promoting my love and success of using Voki in my classroom with more global collaboration projects and teachers across the globe who has never used Voki before. Watch out, I think we might make some Vokis to give the Voki team some advice and feedback on how we use and benefit from such a fabulous Web 2.0 tool. Stay tuned. Voki is a way students can communicate cross-classroom, worldwide. It provides opportunities to build confidence through its communication options. Students can be academic, creative and critical thinkers while building colourful avatars that enable individual design and engagement in their classrooms. In my classroom Voki is voted the number one Web 2.0 tool because everyone can interact with ICT in their own individualised way. Look what I found on the Official Voki Blog. So awesome to see the work of Liddiard Rd Ps shared with the world.